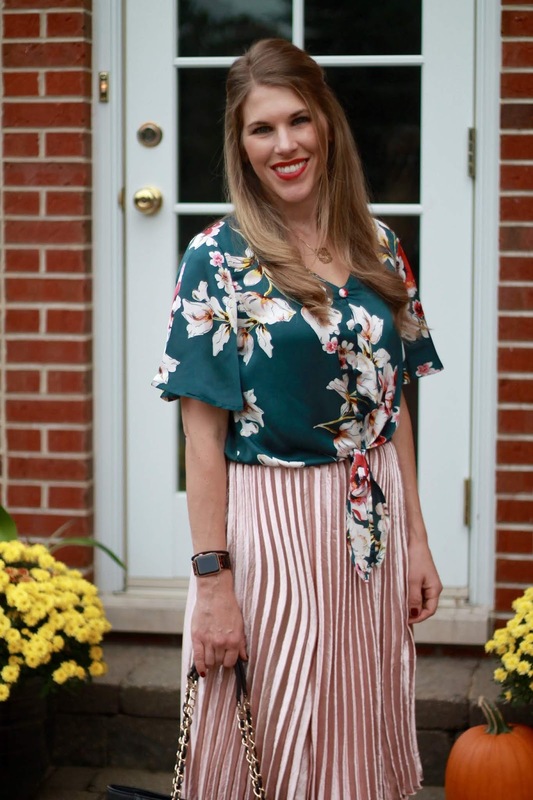 This green floral top is a little outside of my typical style, but the pretty floral print caught my eye when I was browsing the SheIn website a couple of weeks ago. I often favor plain tees because they are so versatile. It takes barely any brain power to throw on a black tee and jeans, but it certainly isn't interesting. Don't get me wrong, a simple tee can be chic when worn the right way, but it does take a bit more thought and a bit more accessorizing. So because I am wearing jeans a little more often, prints and items with interesting details draw my eye even more. They are a simple way of looking put together with less effort and time. 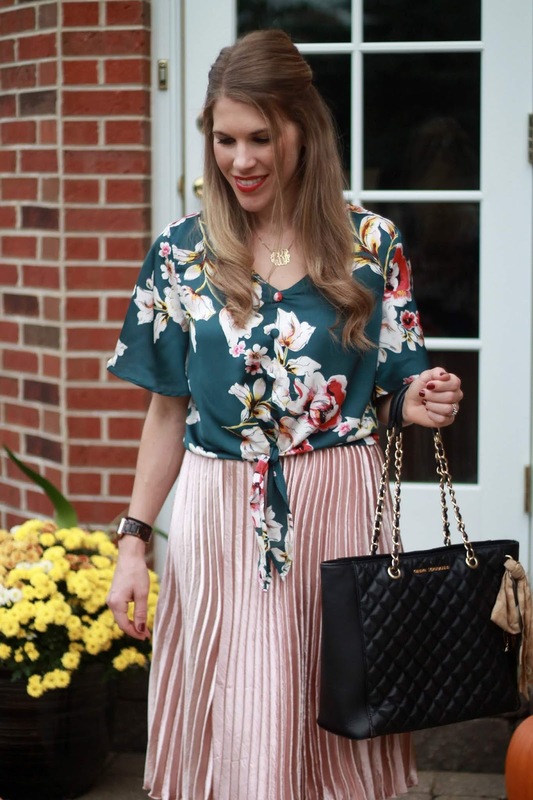 And although I know this already, this top is a great reminder that floral prints can be versatile, too. 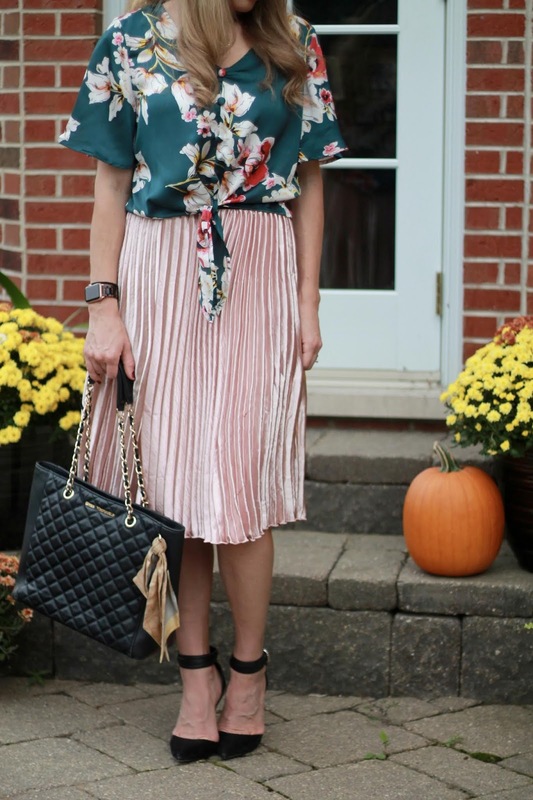 I initially envisioned wearing this top with distressed jeans, but I saw this skirt in the back of my closet and thought it would be a nice way to dress it up. I love how the dark green and blush look together! Blush is such a great year round color that compliments the typical colors of each season. I was a bit worried about length when I saw it online, but I am 5'5" and it's not crop top length on me (I sized up to a medium-the typical size I wear at SheIn). And did I mention it's only $10! ?